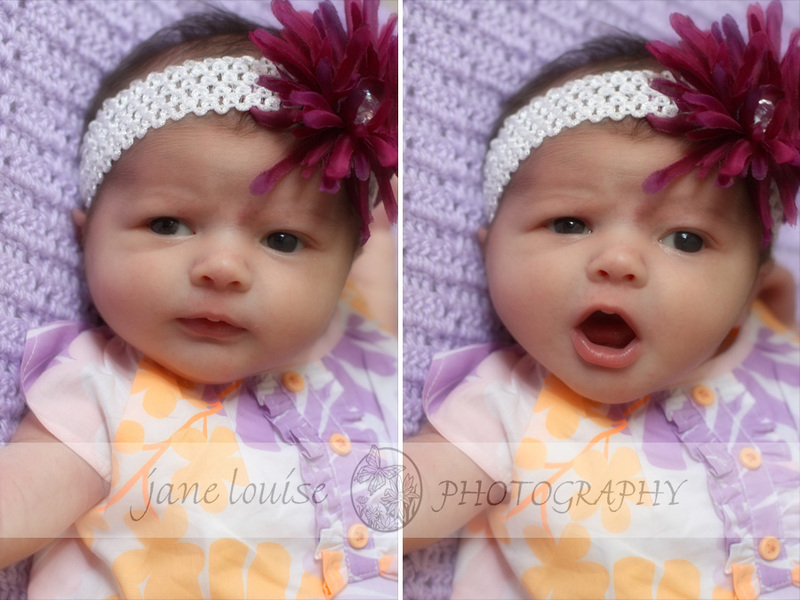 Her mommy chose her dress, her big sister chose her headband and flower, and her grammy crocheted the lavender afghan for her. She is dearly loved. I’m so glad I got to meet her so soon after her birth and take photos for her family. Except for a few minutes of sleep time photos, she was wide awake and watching everything, and by the time we finished, it appeared that Baby Elena wanted to talk too! I wonder what she was thinking! This entry was posted in babies, Children, Collages, Families, Newborns, Relationships, Snapshots and tagged babies, Children, Elena, Families, natural light, Newborns, Relationships, Snapshots of daily life, St Louis area photographer of families and children, summer. Bookmark the permalink.